First, we Gobble, then we SHOP! 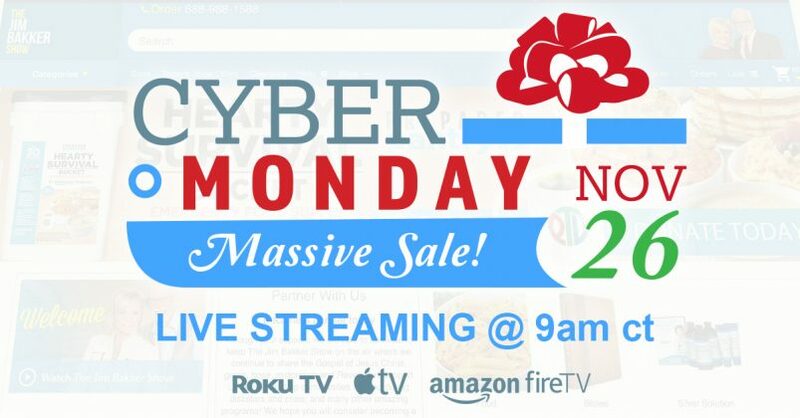 The Jim Bakker Show super Cyber Sale Monday live stream event is here November 26th beginning at 9 am CT! The Jim Bakker Show Super Cyber Monday event! Want some joy and fun while you Christmas shop from your very own living room? 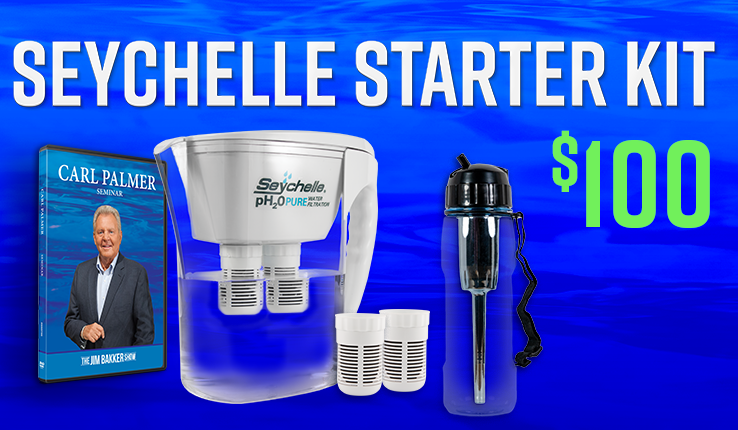 Are you ready for some great gift ideas and deals? You are invited to join Jim and Lori Bakker along with family and friends on Monday, November 26th beginning at 9 am ct for our Live Stream Cyber shopping event! Super Cyber Monday is becoming a tradition for Morningside! We love these live broadcasts and the chance to share your day! You just never know what kind of Christmas surprises will happen! Watch for some incredible bargains on gifts sure to make anyone on your list happy! Prices will be marked down on everything we have to offer so your Christmas shopping budget can go a very long way! Tune into our Live Stream Cyber Monday sale on the PTL Television Network on your Roku, Apple TV, Amazon Fire TV or by going to jimbakkershow.com or the PTL Television Network at Ptlnetwork.com.beginning at 9 am CT November 26th. Every gift you buy from our store is also a gift to our ministry! Give Christmas Gifts with real meaning this year and join us for our super Cyber sale on Monday, November 26th! Happy Shopping!!! This entry was tagged 2018, Cyber Monday, Live Event, Live streaming, Morningside, PTL Television Network, shopping, The Jim Bakker Show. Bookmark the permalink.